While Oregon has only one national park, it is by no means lacking spectacular wild places to visit. There are many well kept sceret scenic places to visit in this state, and here are just a few to get you and your family started on the Oregon trails. Almost two thousand foot cliffs tower around this deep blue lake that was once a violent volcano, but you may not be able to see this beautiful place until the snow melts. Although the park is open year round, June through mid-October is a good time to visit and see the entire park. If you are an avid adventurer, a year pass is the way to go. It will allow you access into this park and monuments throughout the entire year. For those without a annual pass, fees per vehicle will give you 7 days to enjoy the park. On a tight budget and want to avoid entrance fees? No worries, this park has distinct dates where you can visit for free. There is lodging inside and outside the park. 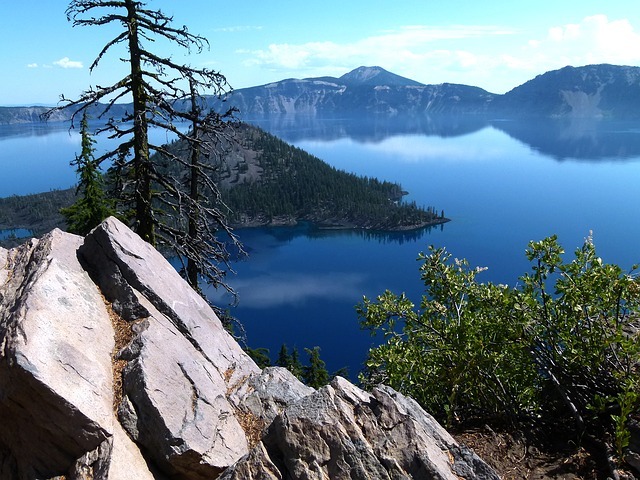 Crater Lake Lodge has boat tours available and plenty of hiking trails in the area to keep you and your family active. There are places to bike, horseback ride, swim, fish, and take a snowmobile tour in the winter. The park will host two hiking and biking days on East Rim Drive, September 19 and 26, 2015 where vehicles will not be allowed on the roads. Other areas around the Lake are vehicle free throughout the year, but caution should still be taken as there are hazards along the routes. If your child is not savvy on the bike, it is advised to have them attached to an adults bike. They can still enjoy the ride without too much concern for their safety. Whether you are passing through the lovely state of Oregon or live here, Crater Lake is a must see. Where else can you swim in a volcano? What can you expect when visiting the caves? Temperatures inside the marble cave is 44F (7C) year round, so wear warm clothes, a pair of comfortable shoes and bring a camera. Flashlights, backpacks, large gear, tripods and your pets have to stay at home. Keep in mind that children must be at least 42” tall and able to climb a set of test stairs in order to go on the 90 minute cave tour, and make sure to arrive early as the tours fill up fast and the wait times can be as long as two hours. There are many types of cave tours to choose from with the option to leave if you ..tire or experience claustrophobia. The cave’s ecosystem is fragile and home to 9 bat species, which are an essential part of the ecosystem in the cave as well as the surrounding forest. In order to help stop the spread of White-Nose Syndrome, it is necessary to take extra precautions when visiting the cave, making sure every item worn is clean and sanitized. You may encounter other creatures inside the cave like the woodrat, Ensatina salamander, and centipedes. There are four hiking trails around the monument area with views of the Siskiyou Mountains, waterfalls, and/or the marble rock outcrops. The trails are fairly easy to moderate in difficulty as they weave in and out of the monument area. Be sure to check ahead before visiting, as some areas may be closed due to weather or dangerous trees. This area has plenty of old growth Douglas firs, Port Orford cedar, and oak trees. Ever wonder what it would be like to explore new territory? Get a bit of history while hiking through some of the most beautiful parts of the Pacific Northwest. Visit Cape Disappointment during the summer and fly a kite along the windy beaches, or head across the Columbia River to Sunset Beach and have a picnic while you watch a spectacular sunset. 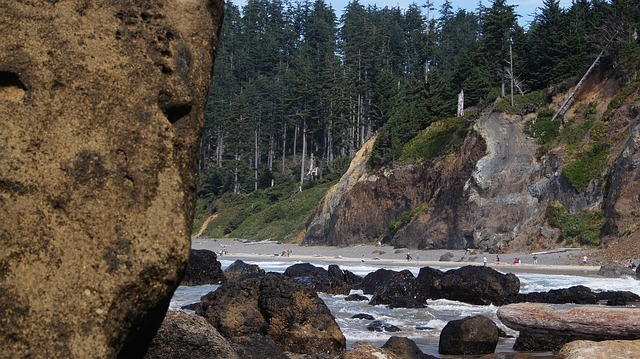 A visit to Ecola State Park for tide pool exploration, whale watching, surfing and some amazing views along the hiking trails is a must. You can explore the area on the water and kayak along the Lewis and Clark River as a ranger-led three hour tour guides you through the area. Kids must be 10 years and older to go on this free tour, but there is no need to bring a kayak or gear, as the park provides the vessels, paddles, and life jackets. Reservations are required and begin in June. Believe it or not, this monument contains one of the best fossil records of mammal evolution in the Northern Hemisphere. From creodonts to Zaisanamynodon protheroi (“marsh rhino”), there are seven sites to explore the Cenozoic era spanning over 40 million years of evolution. The Thomas Condon Paleontology Center is the best place to see the fossils from all the units and other federal land areas. Not into fossils? There are creeks for rafting and bass fishing and some beautiful geologic formations covering a huge portion of this area located in central Oregon. 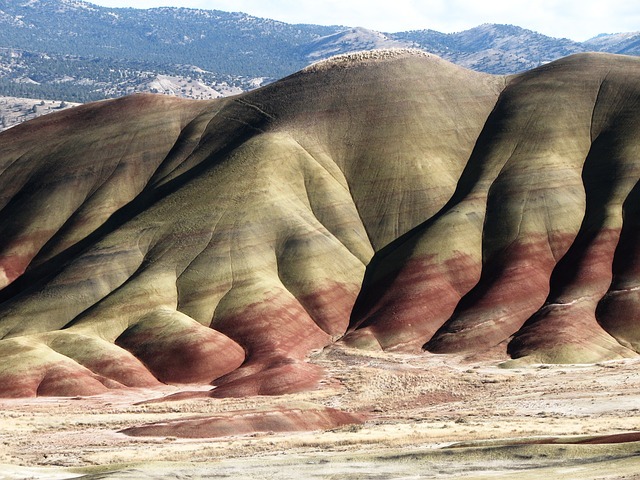 Visit the Painted Hills, Sheep Rock or the Clarno Unit for some amazing photo opportunities, hiking and picnicking. There aren’t any places to stay at the monument, but the nearby Ochoco National Forest and a bit further Deschutes National Forest has plenty of campsites, RV parks and cabins. Be sure to visit Salt Creek Falls just off road 58 if you head towards Deschutes National Forest. 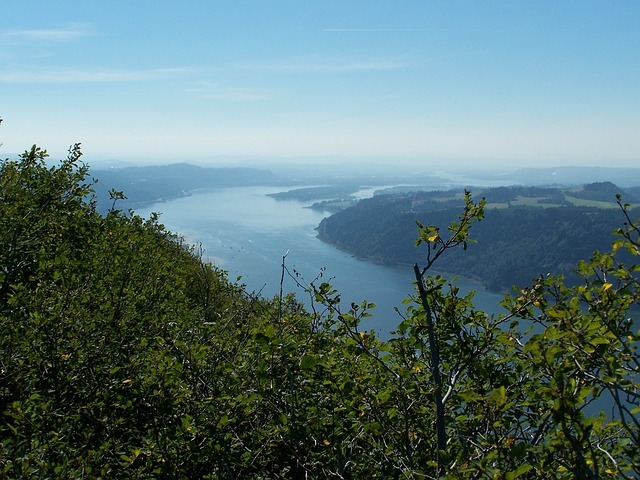 Twisting and tearing through the terrain on it’s quest for the Pacific ocean, the Columbia River Gorge is 80 miles surrounded by gorgeous waterfalls and scenic trails. The 186 meter Multnomah Falls is worth visiting. It’s the second highest waterfall in North America, located in this 292,500 acre national scenic area. If you can’t get enough of waterfalls, you can hike a half of a mile to nearby Wahkeena Falls where you will find the local favorite. This trail has an abundance of wildflowers, views and a bit of solitude, as few visitors venture to this unfamiliar falls. Take the River Front Trail for a easy bike ride that winds along the southern bank of the Columbia River for ten miles. The asphalt-paved trail is 8- to 12-feet wide, perfect for bikers of all ages and skill levels. You can also visit the four swimming areas to cool off after a long hike or bike ride. This 40 mile stretch of sand dunes is a wonderful place to explore. The area offers an extensive array of activities to keep you busy. 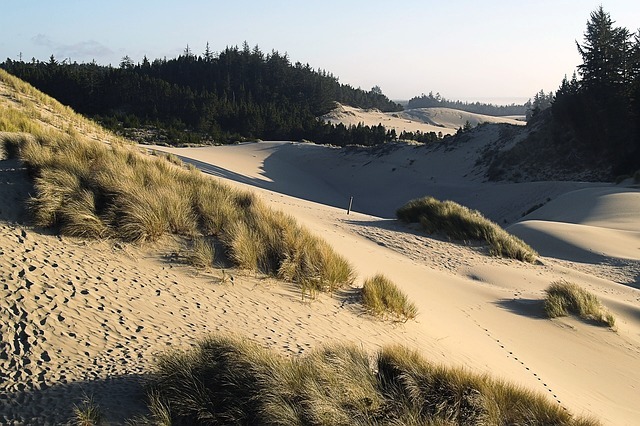 Located between the the Coos and Siuslaw rivers, this is the largest span of coastal sand dunes you will see in North America. The dunes can reach as high as 150 meters above sea level making it a fun place for dog sledding, sand play, beach combing, and tide pool exploration. June 10, 2015 in Main Page, Recreation, Travel.